Protect your fingers and keep your tea towels in the kitchen where they belong! 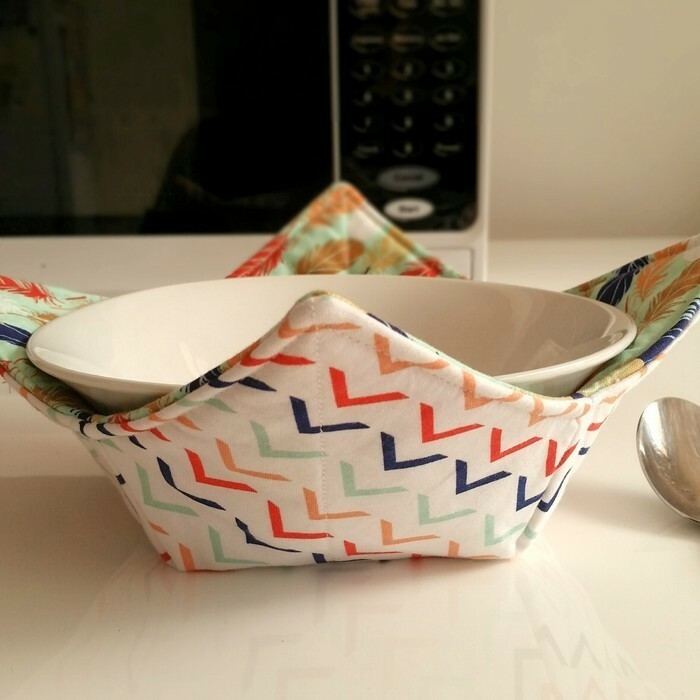 A 10" reversible Hot Bowl Cozy is perfect for that hot bowl straight out of the microwave. 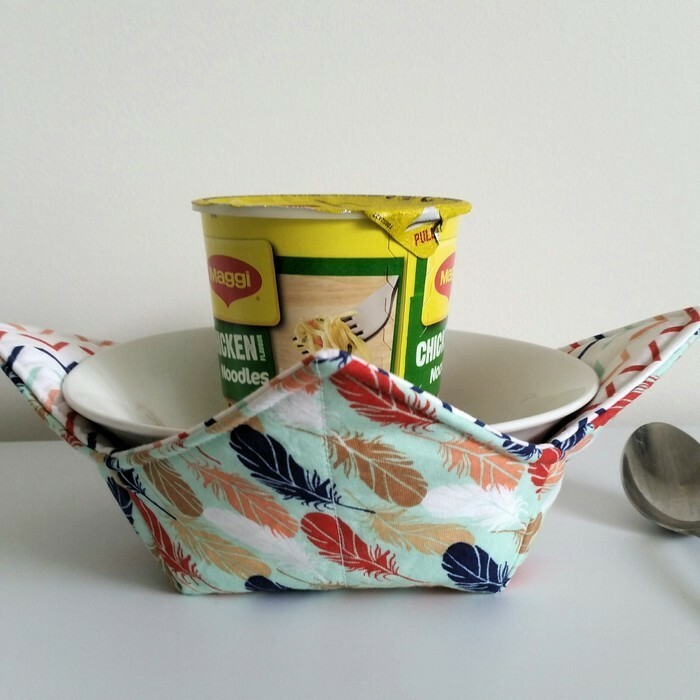 - use it for your next bowl of porridge, soup, or reheated dinner and it can even be used for that cold bowl of ice cream! 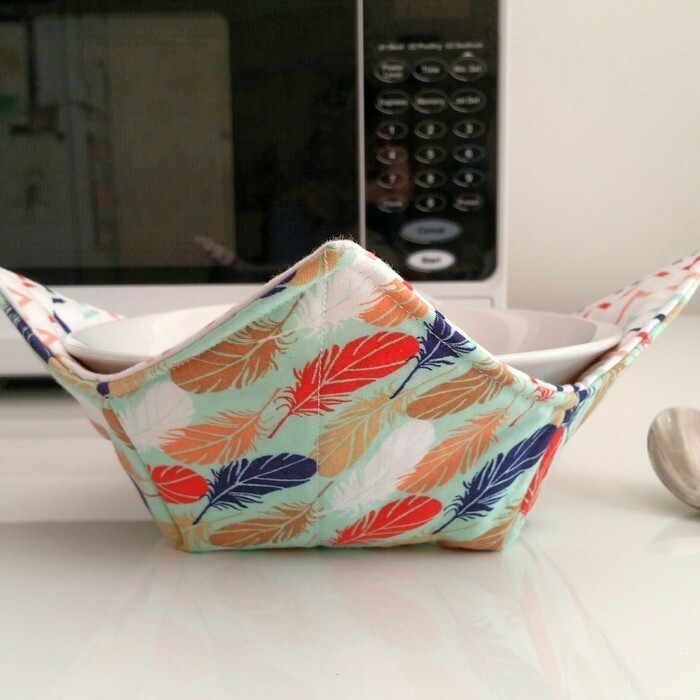 This beautiful feather patterned Hot Bowl Cozy will fit most bowl sizes and is reversible. 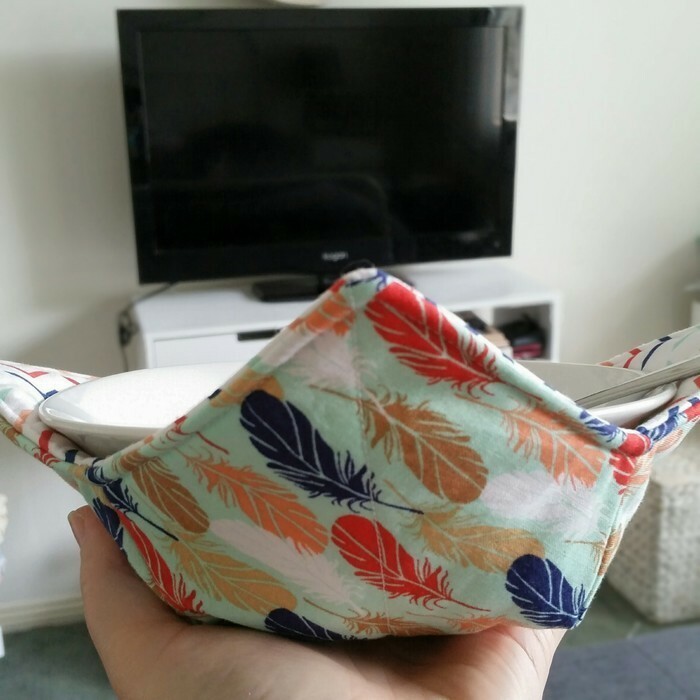 An ideal handmade gift for any occasion - give one for your next birthday, Mother's Day, Father's Day, housewarming, Easter or Christmas present. Machine washable on a cold cycle.